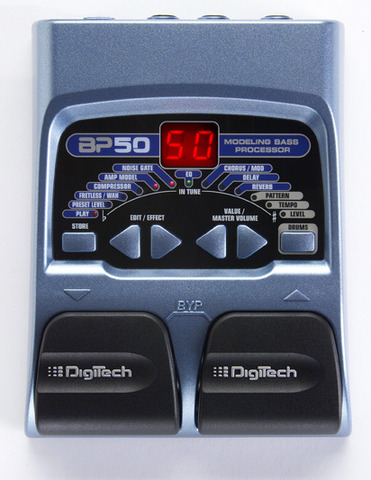 The BP50 uses our AudioDNA™ DSP chip to ensure that both modeling and effects are world-class. 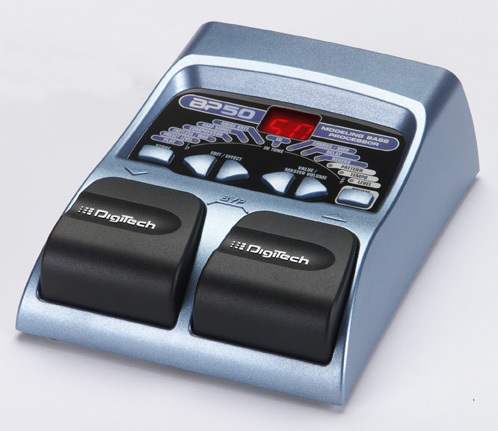 Plus, 24-bit A/D/A converters ensure accurate tonal reproduction between inputs and outputs. And when we weren't looking, our fanatical engineers even snuck in a drum machine with 30 patterns, adjustable tempo and an easy-to-use 13-LED-array tuner. Then we made sure that the BP50's user interface was so simple a drummer could operate it (well most drummers, anyway). If you've drooled over our bigger BP Series models but didn't have that much cash in your jeans, get on down to your DigiTech dealer and score a BP50.